Opening and closing a shipping container door is easy when you know how. Watch this 60 second video demo. 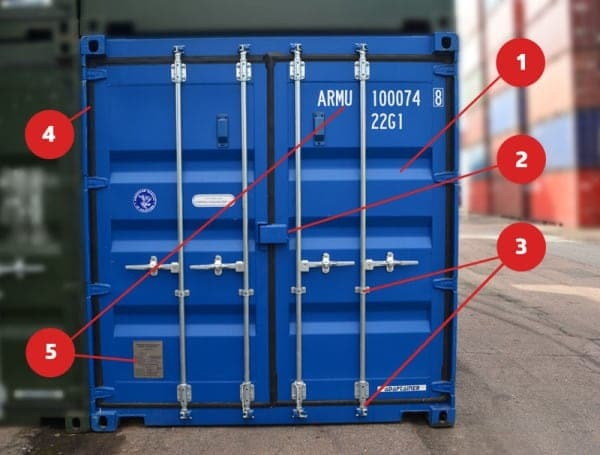 If it’s your first time hiring or buying a shipping container you might be wondering how to open and close the doors. It’s very straightforward and we made this video to show you how. Video showing how to open a shipping container door and how to close a shipping container door. Anatomy of a shipping container door. There are two door leaves each fabricated from two vertical rolled hollow sections and 2 horizontal c section members. The frame is infilled with corrugated steel panelling. These are normally attached to the rear corner posts each with four drop forged steel hinge blades. The blades allow 270 degree opening which allow the doors to swing back against the container side wall. The lock box is a steel box welded to the right hand door which overlaps a staple welded to the left hand door. A padlock, normally type CISA type 285 66 can then be attached inside the lock box through the staple and is then protected from direct attack, hindering attempts to gain entry to the container. Each door is fitted with two vertical lock rods to enable opening, closing and locking of the doors. At the end of each lock rod (top and bottom) is a cam welded in place which engages with knuckles, also known as cam keepers. The action of engaging the cams to the keepers forms an anti-racking function. Rubber gaskets are fitted to the container doors during the manufacturing process and prevent water ingress. ISO markings and a consolidated data plate allow worldwide intermodal transport when left in place and updated as necessary. The right hand door is the first door you open, swivel the custom catches up, there’s one on each handle. 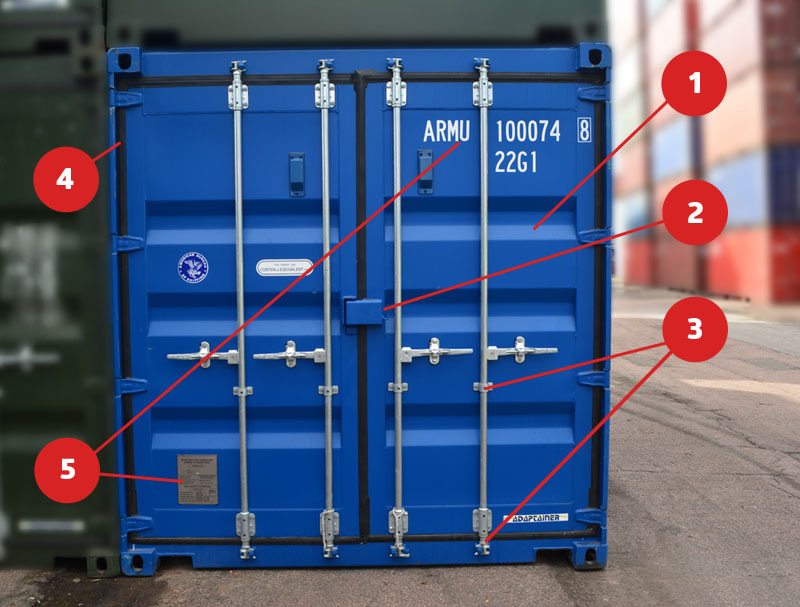 You’ll notice that your container is fitted with lock rods which run all the way from the bottom of the doors through to the top. At each end of the lock rod is a cam and a keeper which engage to allow the door to lock. Lift up the door handles and twist slightly to make sure the cams and keepers are dis-engaged. Next take hold of the inner door handle first and pull out slightly followed by the outer handle and then pull them in tandem. Closing the doors is just a reverse process of course, start with the left hand door, engage the cams and keepers and then twist both handles. Finally swivel the custom catches down. And that’s how you open and close a shipping container door! ← Could shipping containers help in the fight against Ebola?